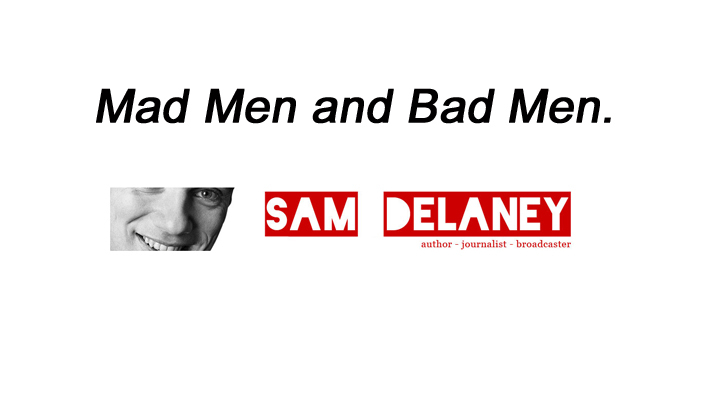 Writer and broadcaster Sam Delaney has recently signed an agreement with publisher Faber to release a book on the history of advertising and British politics called Mad Men and Bad Men. The book will examine some of the most famous political ads, along with the stories and characters behind the work, that has run during elections from the early ’70s up to the modern day. He is interviewing all of the key players in political advertising and marketing from the last few decades. Giants of the political advertising game that will be included are: Chris Powell, Maurice Saatchi, Neil Kinnock, Alastair Campbell, Peter Mandelson, Trevor Beattie, Lord Bell and many, many more. Delaney has previously written Get Smashed – The Men Who Made the Ads that Changed our Lives and is a regular contributor to The Guardian, The Observer, The Telegraph and The Big Issue and is a presenter for BBC London and talkSPORT. It’s due out in spring 2015. No doubt there will be some lovely gossipy stories from days passed that will inspire (and comfort) the war rooms of the party headquarters battling out for general election victory. Pingback: Mad Men And Bad Men!